With the icy winter melting outside our doors, spring is not too far away. With spring we can look forward to the warm sunny weather, patchy yellow lawns sprouting green blades of grass and best of all, not worry about salt stains ruining our shoes! 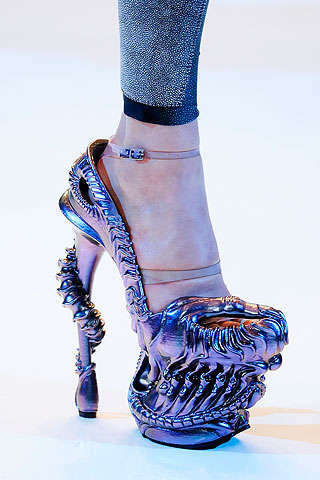 Really celebrate the coming of spring and rock out in these fiercely embellished Spring 2010 heels. Whether it’s grocery shopping or club hopping, make a statement with any of these high fashion heels.